Fehinty African Theatre Ensemble (FATE) is proud to present the world premiere of "A Ditch in Madagali" by Philister Sidigu and directed by Matthew Dada. The performance will run from May 10-26th, 2019 at Prop Thtr, 3502 N. Elston Avenue. 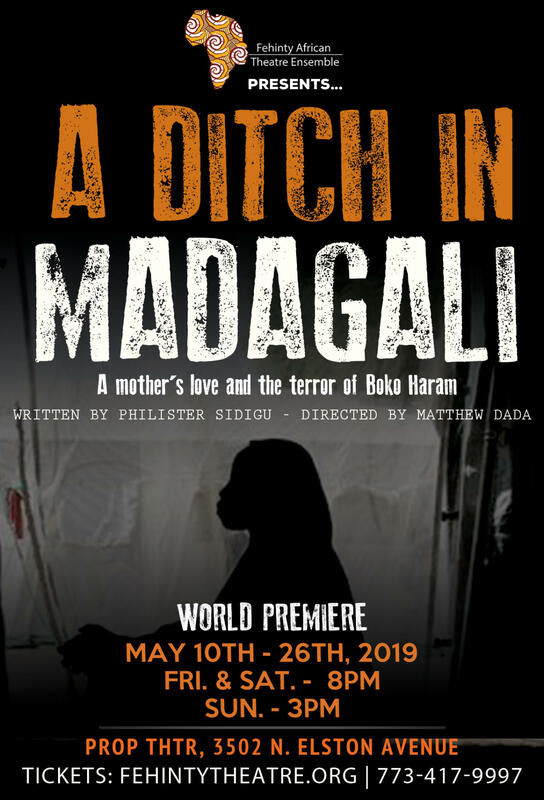 Inspired by a true story, A Ditch In Madagali follows the lives of two women trying to survive the attacks of Boko Haram in their northern Nigerian village. It is a harrowing story of grief, resistance, and a mother’s unwavering love and commitment to her daughter's well being. A Ditch In Madagali shows the side effects of war and raises questions about its hold on the lives of those involved, and the lengths many will go to in order to survive. Address: 3502 N. Elston Ave.